Right-wing ex-pol in Britain responds to anti-Semitic questioner by saying Jews have disproportionate power relative to their numbers. The former leader of a nationalist political party in Britainsaid that American Jews have a disproportionate influence over politics. Nigel Farage, the ex-head of the Independence Party and now a talk show host on the LBC radio station, made the remarks Monday on while discussing whether Russian influence had aided Trump’s election in the wake of the first charges being brought against Trump administration officials. 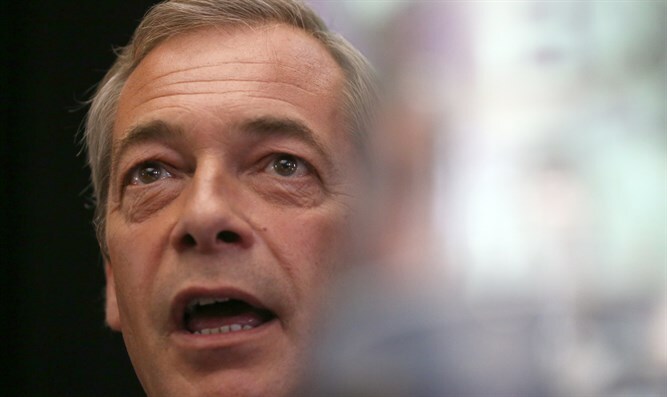 Several listeners contacted the watchdog group Campaign Against Antisemitism following Farage’s remarks. In a statement on its website, the group called on Farage to “immediately withdraw his deplorable comments” and to apologize for them, or that LBC should remove him from his time slot. The group said it would ask Britain’s communications regulatory office, known as Ofcom, to open an investigation. Farage, who was a key supporter of Brexit, the British exit from the European Union, resigned as head of the Independence Party in July 2016. The same month he visited the Republican National Convention in Cleveland, where he met with Trump aides. He is reported to have close ties to former White House strategist Stephen Bannon.